Buy this product Renewed and save $21.05. 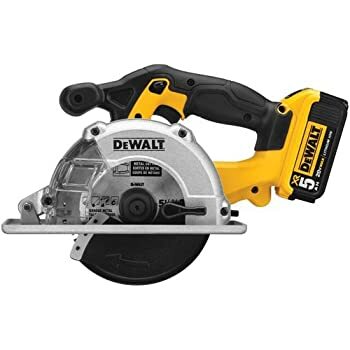 This skill saw is a great addition to DeWalts 20V Max line of tools. My first reaction after using this skill saw for a while, was just WOW, this thing is Amazing!!! The motor they use is smooth as silk, and powerful. 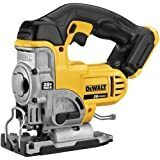 I was hoping to wait till DeWalt incorporated there brushless motor into this skill saw. But I needed it, so I bought it. Man am I happy I did, I really LOVE this skill saw! This is a superb saw! 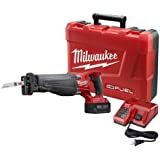 It has all of the features and power of a Top Quality corded skill saw, and it's light weight, with the 4Ah & 5Ah batteries, it does the work of a heavy duty skill saw. 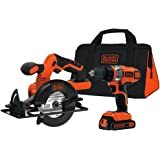 I've been in construction since 1980, and have used most all light and heavy duty power tools. 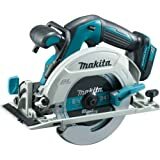 This Skill Saw ranks among the best I've used, in cordless saws. Just remember your blade choice is the most important factor in how effective this saw will perform. Please see my blade recommendation below. Others have commented on it's longevity with there batteries (1.5Ah & 2Ah batteries), regarding they drain fast. 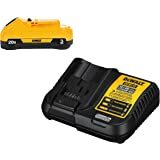 The smaller DeWalt batteries are going to drain faster. 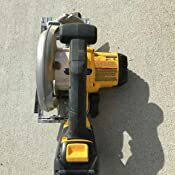 This skill saw is powerful, and puts a heavy load on the batteries. With this saw, you need the High Capacity 4Ah &5Ah batteries (model 204 &205). 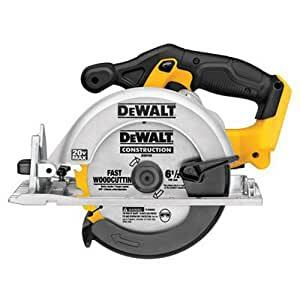 This saw will work with any and all of DeWalts 20V Max batteries, but the lower capacity batteries aren't recommended. 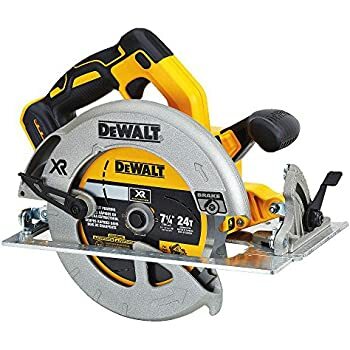 I only use DeWalts 4.0Ah and 5.0Ah batteries, and with those, I can use this skill saw all day long, with 1 battery lasting most of the day, and usually all of the day. -This skill saw has a blade break, which is a very nice feature in any skill saw. As soon as you release the trigger, the break engages, and stops the blade from spinning within seconds. -This skill saw also directs the cut material away from the user, and away from your line of sight. 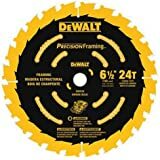 -This skill saw has the ability to cut from a directly perpendicular (90 degrees), and also can cut up to a 50 degree angle. 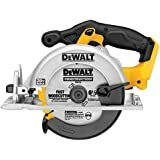 -This is a nice light weight skill saw, and that greatly cuts the fatigue you would feel from using a traditional skill saw, all day long. -This skill saw allows for a direct line of sight to the blade and working surface. 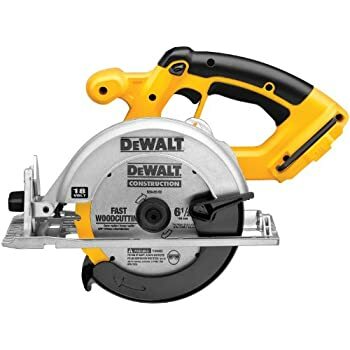 This is much like the design of a worm drive saw (a Roofers Saw), the design of most all other skill saws have the motor and the blade on opposite sides, so the skill saw operator would need to look over the top of the saw, to see his work surface. This is Not the case with this DeWalt Skill Saw! -The front and the main handle has a rubber over mold, and this gives the operator a great and comfortable grip on the skill saw. This makes it safer, and easier to control. 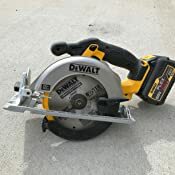 -This skill saw uses a standard 5/8ths inch arbor, which gives the owner a wide selection of blade choices. There is a LOT of new blades out today that use think kerf cuts. This means the width of the cut is very thin, usually about 1/16th of an inch thick. Just know that these are basically cheap, and throw away blades. You also need to know, the thinner the tooth, the faster it will dull. 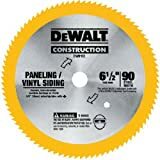 This blade here: Vermont American 6-1/2-Inch 40T Smooth Cut Carbide Teeth Circular Saw Blade, is one of the best blades you can buy for this saw. It's an extremely high quality blade, and the same blades that I use professionally, every day. It can be resharpened many times before needing replacement. It's very sharp, and uses very high quality carbide teeth. 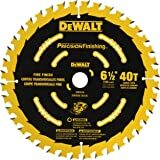 I Very Highly recommend this saw blade! 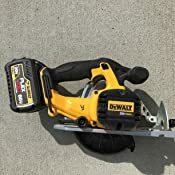 To end, this DeWalt skill saw is a Professional Quality skill saw, and will last you for many many years. 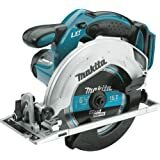 Everything about this skill saw is very high quality, and built very well. 5.0 out of 5 starsLove it. It has paid for itself already. I simply adore this saw. 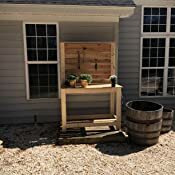 I install real estate signs as side job and I have always used a hand saw when I need to cut wood while on the road (which is about once or twice a week). I didn’t realize how significantly batteries have improved over the years and was embarrassed when I realized how much simpler this made my job. 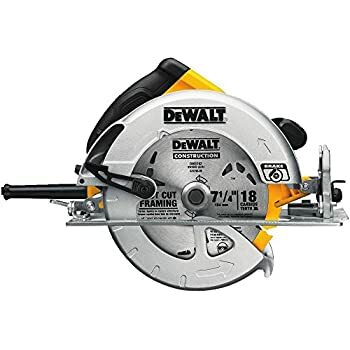 This saw is powerful and will go a long way on a single battery. I have been finding tons of uses for it and have used it a few dozen times since I purchased it. 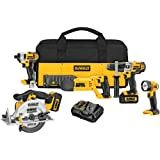 I was so impressed that I’ve been buying other Dewalt battery tools and love all of them. I’ve had the same 18V Dewalt drill for at least the last 15 years and it is running like a champ. I hope to get many years of use out of this. It has paid for itself already. 5.0 out of 5 starsworks good. got tired of running extension cords for my skill saw. 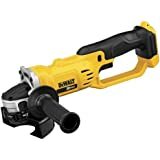 so figured it was time to add another dewalt 20 volt tool to my inventory. didn't notice till after i purchased it was a 6.5" saw but still does the job. And blades are about 25-30% cheaper for the 6.5" then the 7 1/4". Used to cut 2x4's, osb and sawed 2x6's and cut them all without a issue. Would recommend not leaving battery in unit. Safety switch works but would be easy to accidently hit safety switch and on switch while carrying it. so i always carry unit without battery and put battery in when i use it. Excellent kit. Batteries are underpowered for anything but the normal drill. They operate the equipment fine but you are only going to get a about 15-20 cuts on a 2x4 with the regular battery. With two batteries you may be okay if your not cutting a lot fast but I built a shed and wished I would have bought a 5 or 6 amp hour battery earlier. I spent the first two days spending most of my time trying to figure out what I could do while batteries were charging then prime came through with the big battery and I was pretty solid the rest of the project.